Actually yes, home automation helps homeowners save money. Home automation, as we all know that is a smart way that controls our home and provides security, but there are many other features that we won’t consider. One among that is saving on our money and energy. With home automation, homeowners can cut energy and heating costs, and control lighting level even optimizes energy consuming appliances and devices. It makes the home more convenient, safer and energy efficient. Home automation will make your home “smart.” by allowing what used to be “dumb” devices like a lamp to perform actions based on conditions you set for them intelligently. 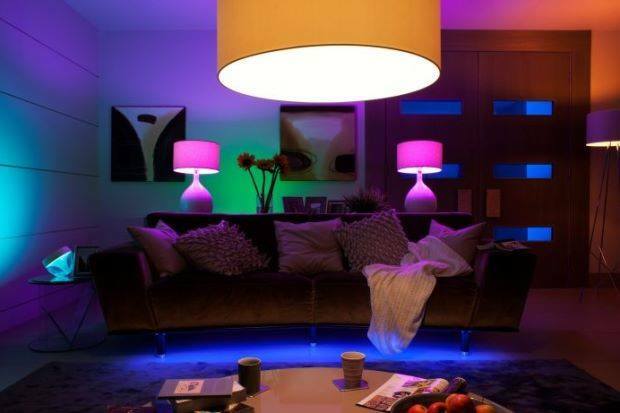 If you want a light to turn on only when people are in the room, then that’s a simple example of what home automation does. Its Energy saving and money saving idea. Having an automated home shuts off your lights when no one is around, also limits the power drained to your electronics when they aren’t being used or when no one is at home, and keeps the temperature comfortable in the most energy efficient manner possible without much struggle. If you are looking for ways to save energy and money in your home, automation is definitely one of the best options that I would recommend! I personally believe that home automation is going to be at the forefront of sustainability and energy efficiency for homes in the near future. It actually is for me now! Why Do we Need Home Automation? We need Home automation for Security, Energy saving and Comfort, much less to show off. This is because we are too lazy to get up and find the remote control or switch off a light. With home automation, you can see your house on your mobile phone live via an App and know what your kids are up to and where is your pet? This has helped me a great deal. You get relieved of the worrying about the safety of your kids and the house. Basically, when you have Home Automation products like I have installed Blink XT security cameras for my security, comes with many features in safety, convenience and energy conservation. Security is considered as the first benefit of having home automation systems without any doubt. It makes the entire home safe and secure by using hi-tech devices like automated door locks that will help you monitor who is coming in or going out of your house especially those times when you are not at home. I have personally liked the way Blink XT security cameras have done for me. They have just been so good at spying and notifying me when someone is at home. Automation makes everything convenient for you by providing you with the control of your house just at your fingertips. It practically lets you perform all the functions you would tirelessly do just with a tap of your finger. Also, the fact that you can monitor and control things in your home when being far away from their reach is something which not only just sounds convenient but also makes life hassle-free. Home automation systems are also known as ‘Smart Systems’ for a reason, and that reason is that they enable the user to wisely manage their energy and save it whenever it is possible. For instance, I can now easily control the temperature of a particular room in my house with my smart air conditioner considering if the room is empty or someone is there. Wireless functioning makes everything butter smooth for me. It provides full security to my house even when there are remote locations. Different varieties of systems perform various actions in case they observe any unusual activities taking place in the house. Some systems alert by sending me the text message or email and others may interact with my home security system. 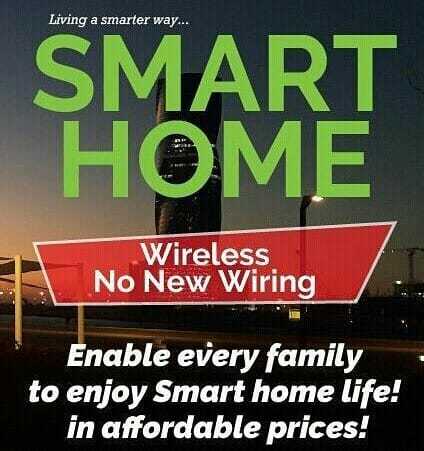 Having the ability to configure the system as per my usage, current location and preferences for a smart living is a great benefit to me. Provides support for various protocols in order to ensure seamless connectivity. Control any establishes a smart system that learns your daily routine and acts accordingly. The system configuration and setup is comfortable and hassle-free for anyone to understand. Ability of the system to support the user’s voice commands and act appropriately. What Do you Think of Home Automation? Home automation gives us access to control devices in our home from a mobile device anywhere in the world. Also, Home automation makes life to become more comfortable, provides convenience, saves time and effort performing household tasks. When we properly manage our energy, we can reduce our energy consumption, which may help save money. Most importantly, having complete home automation lets us customize our home to fit our family’s unique needs and lifestyle. There are new technologies that are continually emerging to make life at home more comfortable, more fun and more secure. While luxury and entertainment are some of the options that will depend on the budget available, home automation that improves home security is something that should be treated as being important. Integrating your home with your smartphone and having control of it from anywhere in the world is a significant aspect of the home automation process. With just an app on your phone, everything would be a click, touch, text or voice command away from you. Things are even much faster and easier. From turning on your coffee maker, closing your garage door, to getting your clothes or dishes washed and dried; All these can be done through home automation. Home automation is an excellent step towards the futuristic world, and it is something that cannot be ignored. How Much Energy Can you Save with a Home Automation System? People can save anywhere from 15%-30%+ in energy usage by adding a home automation system and installing energy efficient LED lighting within a home. This is by turning off devices while away from their homes or by turning off lights in unoccupied rooms while not in use. Not only the lights but also on thermostats and other smart home products, which is a margin of energy saved. Studies have shown that smart thermostats can cut your heating and cooling costs by 20%. That means that you could shave at least 10% of your home’s energy bill just by installing a smart thermostat! Imagine how much you could save if you installed all of the energy-saving home automation products on the market. An automated home shuts off the lights when no one is in the house, limits the power drained to your electronics when they aren’t being used, and also keeps the temperature comfortable in the most energy efficient manner possible. If you are about to start, you can begin your home automation with a clock setback thermostat. These are the parent of all the energy-saving home automation that is coming to the market now and give by far the most reduction in residential energy use for the dollar spent. The marginal cost for further home energy use reduction after installing this simple device looks poorer. I am currently using Ecobee4 thermostats that I bought, and they are just as good. Installation took under an hour with the usual household distractions (and it was an excellent opportunity to get up off the couch). Depending on your specific consumption patterns in the home. You can likely save most if not all of what you can accomplish with a home automation system with smart home devices that cost a small fraction of what an automation system costs. Example: The costliest energy use in a home is typically heating and cooling. Using a programmable thermostat to manage your occupancy patterns better and accounting for different temperatures at different times of day, you can have a significant amount of savings. I’ve have been using smart home devices for some time now, and they’ve been pretty useful in terms of cutting down on energy consumption. This has, in the long run, helped me to save on costs. I haven’t gotten their full range of products just yet, but the intelligent air conditioning and lighting I installed a few months ago has already made a massive difference in my utility costs and usage. This is just awesome. If you are looking for ways to save energy in your home, automation is definitely one of the best options!